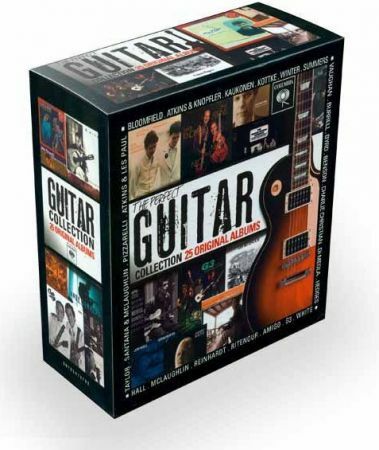 This guitar compilation provides you with a knock-out collection of full albums by guitar icons such as Lee Ritenour (Captain Fingers), George Benson, Al Di Meola, John McLaughlin, John Pizzarelli, G3 and many more. If you're lucky, you can find this box set for less than € 50,00, so you get a lot of awesome music at a cheap price! The genres range from Jazz, Blues and Rock to Fusion. Great work by great guitarists.